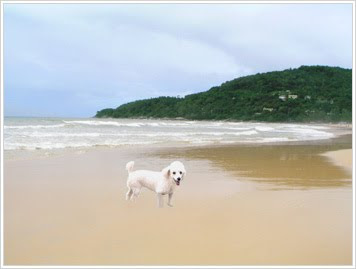 Missy had been away this past week frolicking and gallivanting in Phuket without us. Although to be fair to her, she told us that the whole time she was there, she kept missing us and thinking how much we would have enjoyed the beach and her resort if we could have come with her, especially jie jie who is every bit the sun, sand and sea kind of gal. This was the beautiful The Access Resort & Spa where Missy stayed. 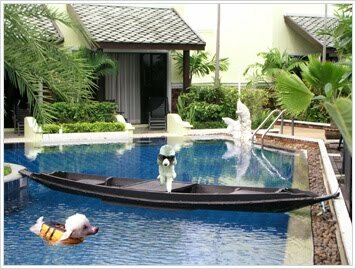 The resort is designed to allow guests direct access to the pool from their rooms and room service is delivered by boat! How cool is that? we would trade these for any of Missy's bakes anytime! And there's something for Cuzzie Nicole too. 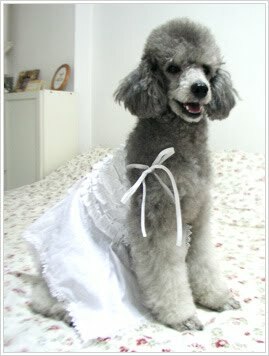 It's a pretty little white frilly dress! Hey Cuz, this is how you wear it! All for now. 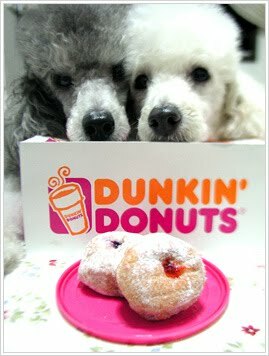 We're going to take a short nap and then it's off to the park later!